The Graduate Programs in HRM reflect UConn’s commitment to academic excellence, experiential learning, and globalization. Our comprehensive curriculum is grounded in academic research and designed specifically to develop strategic HR skills. Each course offers real-world, collaborative learning with high-achieving peers and accomplished faculty. The HRM curriculum reflects the skills needed for human resource leaders to be collaborative partners with senior management, including core business skills like business acumen, risk management, metrics and analytics, negotiation, and ethical leadership. 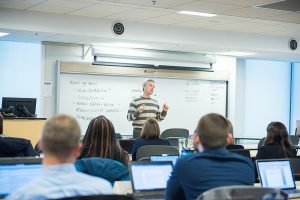 The program’s cohort design deepens your education by engaging peer-to-peer learning, and expands your professional network through personal connections. 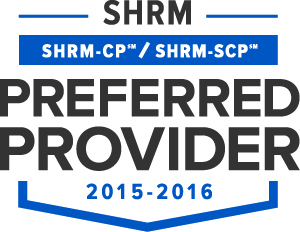 Courses are 3 credits each and are offered in condensed hybrid sessions. Fall and Spring sessions are 7 weeks long, Summer sessions are 6 weeks in duration. 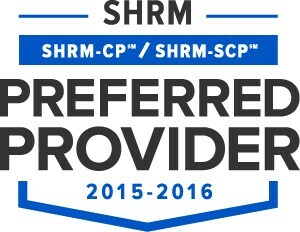 The UConn School of Business is a SHRM Preferred Provider. Other graduate business courses including marketing, accounting, and finance. The Advanced Business Certificate in HR Management consists of four HR Management graduate courses, one of which must be MGMT 5138 (Managing Organizations.) Please contact us directly if you are interested in applying to the certificate program. For more information about our graduate programs, please contact us at HRM@business.uconn.edu or 860-728-2400, or see our Course Descriptions.